Here’s our first fanART, donated by Annie – THANK YOU! If you also want to donate something, please email me here. Full credit will be given! The dream of five young Americans began in 1999 in a talent show. The man behind the Backstreet Boys, Lou Pearlman along with MTV, wanted to create a new boy band, following the success of BSB and N’Sync. The winners of “Making the Band” were Jacob Underwood (30), Ashley Parker Angel (28), Erik-Michael Estrada (30), Trevor Penick (30) and Dan Miller (29). They were supposed to be huge in the history of music, but in 2003, after two albums and several top hits, the band split up – a shock to all fans. 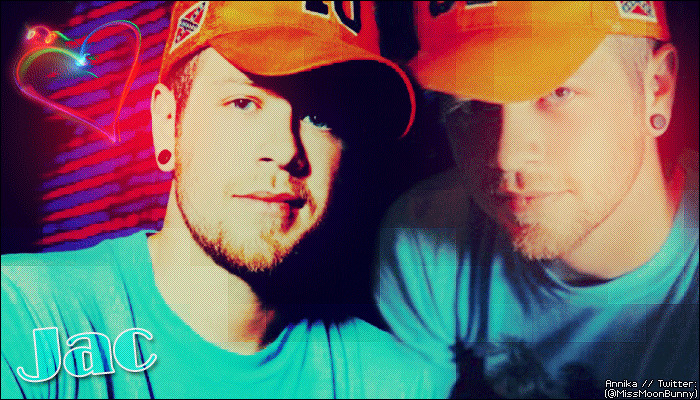 In 2004 they were again seen together as O-Town in the comedy “Super Babies: Baby Geniuses 2”. But what’s up with the guys today? 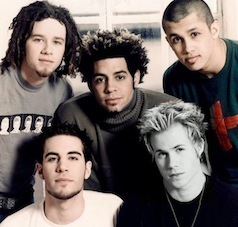 Ashley Parker Angel was the youngest of the group, and it was always a bit more prominent than any of the other band members. In 2006 he got his own MTV reality show “There and Back: Ashley Parker Angel”. He wanted to be perceived as a real musician and songwriter. The same year he released his solo album “Sountrack To Your Life” and got good reviews. His first single “Let U Go” was on MTV’s TRL charts for several weeks. After an American tour with Ashlee Simpson, he focused on acting. He played the role of Link Larkin in “Hairspray” on Broadway, played the role of Carson Wheetly in the new straight to DVD “Wild Things: Foursome” (Out on June 1st, 2010) and now, he is playing the role of Todd in the film “Pizza Man”, along with Frankie Muniz. Ashley is father of a son named Lyric Angel. Jacob Underwood was always different, specially with his dreadlock hairstyle, not a typical boy band member. Together with guitarist Aaron T. Smith, he founded the band “Jacob’s Loc” in 2004. He lives now in a suburb of San Diego Nashville. Dan Miller is today both singer and producer, with a successful independent record label. In 2005 he released his solo EP, “Slower Than A Gun”. After the band split up, Trevor Penick started to use a new stage name, “Tre Scott” and now he makes R&B and Pop music. Trevor is already a happy father. Erik-Michael Estrada (EME) continues with music and he’s working on an acting career. He also is involved with other celebrities for Children in Need. Sing With Doc is the first vocal training tape designed for the beginner vocalist looking to take the first step in becoming a great singer. In this tape you will learn the secrets of vocal training from one of the top vocal coaches today, Doc Holliday. He has trained many of todays stars including Britney Spears, Backstreet Boys, Tyrese, O-Town, and many more! In this 30 minute video program, Doc will show you how to perform a Vocal Analysis, the basics of Breathing, Articulation, and Pronunciation as well as simple exercises to improve these skills. This tape is bound to help improve voices of ALL ages.